I’m a sweater. I’m certain I must have a problem regulating my body temperature or something, maybe I should get it checked out come to think of it… In the meantime, I love a powerful deodorant. Until now, I’ve sworn up and down by NIVEA Black & White deodorant. The biggest bugbear for me, being a wearer of black tops, is sweat/deodorant marks under the armpits and NIVEA were one of the first brands to launch this ‘technology’. I’ve since come to the conclusions, thanks sure Sure, that it’s not all that great (I used Sure before switching to NIVEA). The Sure Invisible deodorant is the best deodorant I’ve used to date. When it says “dry 48 hours”, it’s pretty spot on. I mean it doesn’t keep me 100% dry, but, it keeps me absolutely fragrant as anything. I can put the deodorant on one afternoon and without showering and sleeping through the night, can wake up smelling fresh and ready for anything. Oh an it’s the perfect deodorant if you gym/exercise. So to the compressed bit. This is the first compressed deodorant I’ve used before and it’s quite astounding. The difference as far as use is that it comes out a bit faster. So if you hold it for 1 second on a normal can, press it for half as long on the compressed… because it’s, well, compressed! I mean, it’s fabulous that it saves the environment with less packaging etc, but in all fairness I couldn’t give a flying-what-not about that; it’s not my spending motivation, however much it should be – it’s all about performance. What I love is that I can always carry around a great big full-sized deodorant around with my, wherever I go, that takes up the room of a travel-spray. The other thing with the new Sure deodorants is that they have a twist-lock which prevents the dreaded suitcase-spray whereby all your crap piles on top of the can and it infuses every garment with a mist of white foam. We’ve all been there, hairspray is the worst offender, right? Finally the fragrance is rather lovely, it’s a little soapy and a little sweet but unquestionably masculine; but not that normal ‘man’ smell you get from most deodorants. It also doesn’t leave you crawling around on your hands and knees gasping for air like a certain OTHER deodorant. Sure Compressed deodorants cost absolutely naff-all and I have a stash of about 6 as I bought a few using my Boots points. There’s plenty of choice when it comes to style, scent and performance but my big recommendation is to the Invisible as it really doesn’t leave even a whisper of a hint of a mark on clothes; it’s… invisible funnily enough. If you’re a lady-person, all the Sure Women deodorants are also available in compressed. 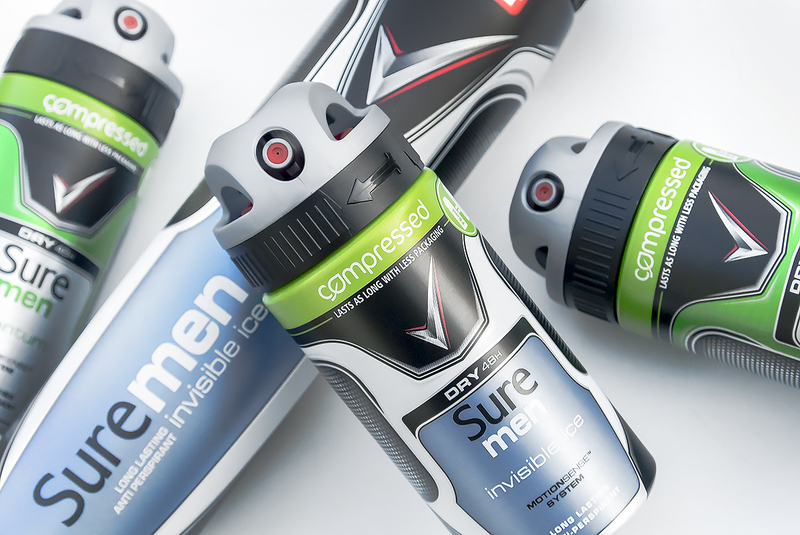 Check out the entire Sure Compressed deodorant wardrobe here from Boots starting at just £2.39; my 2014 grooming essential. This article first appeared on MANFACE written by Thom Watson. It was published on Monday 22nd December 2014 and was last updated on Monday 3rd April 2017 at 1:41pm. It's categorised under Body, Deodorant, Sure where you'll find more related content.